We are a local, family business owned by a Certified Professional Dog Trainer. 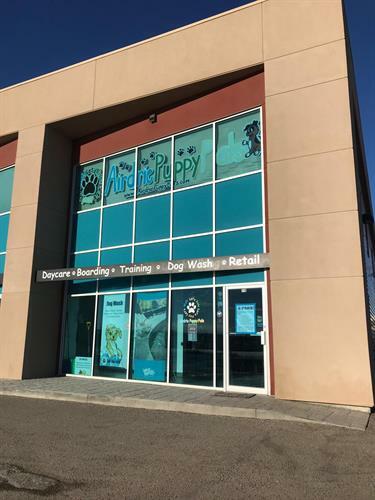 We are open seven days a week, 365 days a year and offer Dog Daycare, Dog Boarding, Group and Private Training services. Both of our locations are in King Heights. From Deerfoot Highway, head East on Yankee Valley Blvd, turn right on Kingsview Blvd SE.